This week Destiny players around the world have gotten a shot of adrenaline with all the recent news, myself included. We all knew House of Wolves was coming, but there’s nothing quite like a surprise teaser trailer and a deluge of mutterings and half-hints at content to revive a weary spirit. But then word struck the Internet: no raid in House of Wolves, and our collective cries rose into the heavens. We already speculated as to what exactly this whole “Prison of Elders” will turn out to be, so this article will consider something that’s not readily apparent: the lack of a raid might just be what we (didn’t know we) needed. Prison of Elders just might save Destiny from itself, and the reason? It targets the core problem Bungie has had with previous raid content. Ask yourself: Would you rather have a raid in HoW that’s rushed, or something new that will will add to the available activities? Everyone who has spent a significant amount of time with Destiny, or really any game, will tell you one thing: it’s repetitive. Why do people say this? Because it hasn’t done anything to alleviate the repetitive nature of it’s core gameplay. Until now. Prison of Elders is something different, which is desperately needed in a game where the PvE content boils down to essentially two things: linear story/strike missions and behemoth, labyrinthine raids. Notice the glaring gap? There’s no middle ground. You either take it easy with the short-burst mentality of strikes and story content, or take a deep breath and step across the precipice to raids – which are, if nothing else, a whole new animal for most players. As mentioned in our first Stranger Than Fiction article, the truth is, a minority of players have actually completed a raid. Stats show very few players have ever stepped foot in the Vault of Glass. We shouldn’t be surprised by this. There are numerous hurdles that make the jump from Destiny’s core experience to the end-game raids more difficult. Namely, six person fireteams instead of the usual three and the sheer amount of time it takes to complete a raid from start to finish. It couldn’t be plainer that we’ve needed something to bridge that gap for some time, and we believe Prison of Elders is just the thing. Read on to see why. This combat arena pits brave Guardian Fireteams against the solar system’s deadliest enemies. Not all who enter survive, but those who do earn glory… and the greatest treasures of the Reef. Until May 6th with the gameplay reveal, we won’t have as much information as we’d like on the Prison of Elders, but Bungie hasn’t left us completely in the dark. We know it’s going to have a focus on variety/replayability, and that means there’s lots of room for it evolve and change over time. Also knowing its being built from the ground up means that it will surely be inspired from community PvE feedback that Bungie has received thus far. There’s at least three essential ways this new battle arena will mix up the familiar Destiny formula enough to not only inject new life, but to also usher players across the content gap. Prison of Elders will be limited to 3 players instead of 6, and this is a smart choice. Now before you close your browser in frustration, hear me out. I love the 6 player teams for raids, and I’ve got about 5 close friends who play Destiny and wouldn’t mind doing a raid. But have I ever played with all 5 at once? Ha, fat chance. Our schedules are just too hectic, and how many fireteams of 6 people have enough free time to dedicate 1 or more uninterrupted hours to a raid? Baby’s crying again – John’s got to go burp him. Bob’s girlfriend hasn’t seen him in days, so that’s another one out. And it sounds like Tom is five beers deep and snoring at the end of his mic. That, my friends, is why small fireteams are a blessing in disguise. Our chances of a smooth, hiccup-less experience are exponentially increased when we don’t have five other people to organize our schedules around. And for all of those just starting out in Destiny, it means you can bring that small group you’ve grown close to through strikes and the Crucible along for the ride without sending random friend invites or posting endless forum requests pleading for someone to join you. And let’s be real – there are a lot of wildcards out there. Sometimes it’s just nicer to stick with the tried and true. I get excited over brand new things. I’m not going to lie; when I read the outline of what would be dropping with House of Wolves, my eyes instinctively skimmed past all the Story and Strike missions. I acknowledged them, but nothing more. Call that foolish, but it’s natural. We all know what to expect with another strike or story, and even, to a lesser degree, with a raid. The blueprints were made long ago in Bungie’s magical factory and most of the work is just filling in different doors, walls, and appliances to surprise us. But a whole new structure – that’s what Prison of Elders affords us, and that is significant. That’s exactly the fresh blood Destiny needs right now. We shouldn’t discount how necessary that really is to Destiny’s long-term survival, and our long-term interest. Look at community comments and one trend is plain: we can’t expect to be satisfied by more of what Bungie has already given us. The very reason so much hope was pinned on HoW’s raid, and the reason the blowback was so huge when people discovered there wouldn’t be one, is we look to raids as the only infuser of fresh ideas. But even raids can’t drum up new ideas forever, especially if they’re rushed out. Eventually something else must come along that reminds us the limits can always be pushed. Bungie listens to the community, as Deej’s recent catalogue of common player complaints proves. But it’s difficult to fix some of these issues without time to test in a living environment. Prison of Elders provides Bungie two things they need to ensure the raids they have are perfected: time and test subjects. Normalizing gear levels across raids and all end-game content has been a long time coming, but Bungie now has the opportunity to test these changes in a living laboratory without the burden of a new raid and new raid gear to go along with. And say what we will about Bungie’s responsibility to get these things right the first time, the fact of the matter is problems this complex aren’t solvable without community feedback. Bungie has the opportunity with Prison of Elders to test a new way of handling gear levels and revamping the raids they already have. This new battle arena complements the formula without completely breaking it, which affords everyone a much smoother transition to better game balance, and that’s a win-win. It might even be a win-win-win, if the Queen of the Reef is that third party. We all know that Prison of Elders has been a real pain in her neck. But these are just a few of the things we hope Prison of Elders will mean for the Destiny experience as a whole. Now we turn to yours. What do you think? Could the Prison of Elders be just the thing Destiny needs? Maybe the current raids will get an increased difficulty level? We want to know your thoughts, and of course, if you’ve got any crazy speculations for what the Prison of Elders might entail, we’d love to hear them! 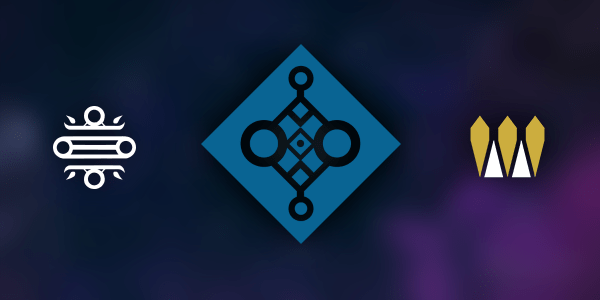 Maybe the Prison of Elders is really just a trap set up by the Queen’s slimy brother? And are you one of the people who hasn’t done a raid yet but think Prison of Elders might be up your alley? We want to know your worst fears and greatest hopes for Bungie’s newest surprise, so sound off in the comments. And the next time you see the Archon Priest, give him a bullet courtesy of the Queen. Let’s make sure there’s one less ugly face to deal with when the Prison of Elders drops.